Most sweets-lovers usually fall into two categories: the die-hard chocoholics and those who prefer to enjoy a decadent, custard filled, creamy dessert instead. While the thought of chocolate does seem intriguing, the rich, thick, heavenly sweet smell of freshly cooked vanilla custard has the ability to transform any kitchen into a French patisserie. 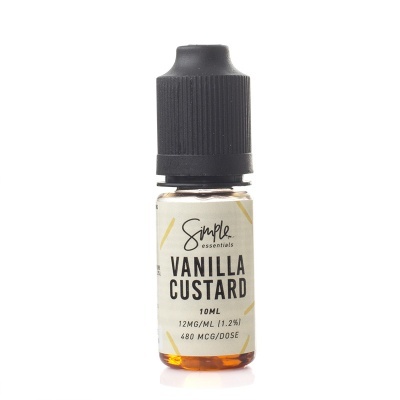 With the Simple Essentials Vanilla Custard E-Liquid - Money Off! you won't even have to cook the custard to enjoy its unique aroma. Vanilla Custard is available in 10ml bottles and five different nicotine strengths to meet your needs. 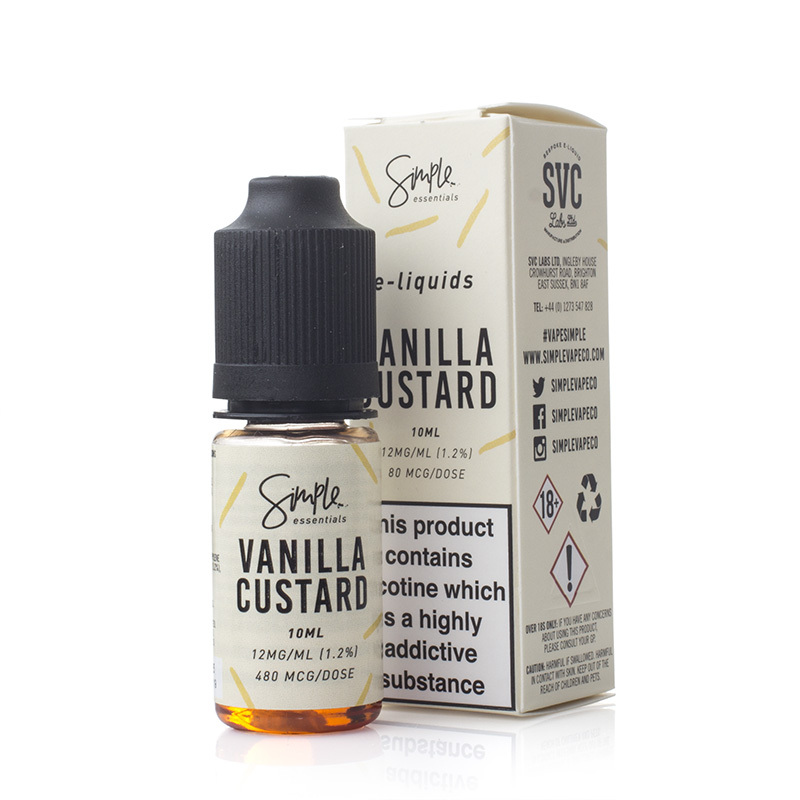 Some of our stock of the Simple Essentials Vanilla Custard E-Liquid is nearing its expiry date and, in light of this fact, we are offering the affected stock for a discounted price of £0.00. Act quickly, as this offer is only available while stocks last! Cream, eggs, caramelised sugar and just a splash of vanilla - Vanilla Custard perfectly encapsulated the distinct aroma of freshly cooked custard. 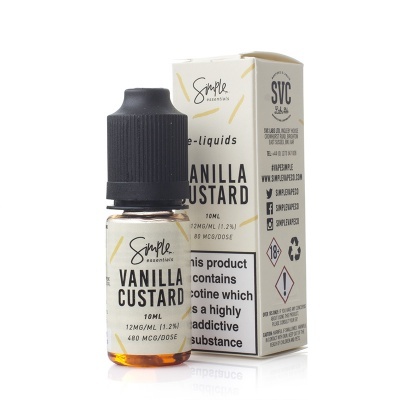 Vanilla Custard E-Liquid has a combination of 50/50 (VG/PG) for a balanced vape with both the nicotine draw and clouds for a complete vaping experience. Vanilla Custard E-Juice is supplied in 10ml bottles only.